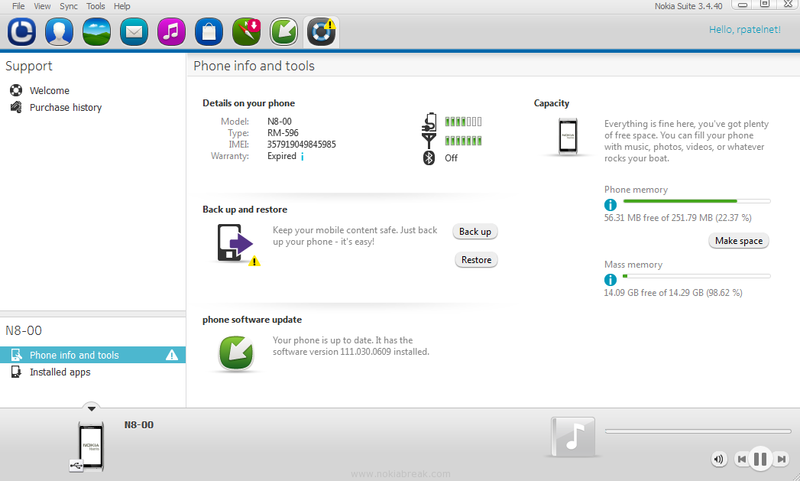 Backup Nokia Phone helps users to save phone settings with all important files and folders on your computer. Here, we are going to guide you How to Backup of Nokia Phone. 1. Download Nokia Suite and Install it on your computer. 2. After Installing, Connect your Phone to your Computer (Once your phone is connected correctly with your computer then Nokia Suite will open automatically). 3. 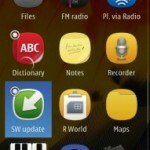 Once, Nokia Suite opens, click on the Support Icon (Or Tools > Backup). 4. On the Support Page, Click on the “Phone info and Tools” > Open. 5. Under “Backup and restore“, click on the Backup button. [*] During the backup, all open applications in your phone may be closed. [*] Use a USB cable connection instead of bluetooth to make the backup faster. Once you are ready, click on the Next Button to Continue. Contacts, calendar and notes, messages. Music and recorded sound clips. If you wish to take complete backup of your phone, then select all of the available options. 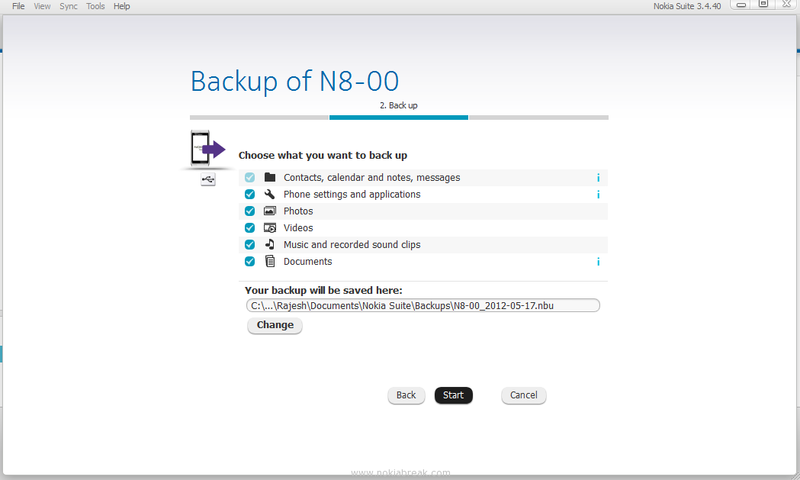 You can also change the Saved Backup Destination folder manually. Once you are ready, click on the Start Button to begin backup. 8. 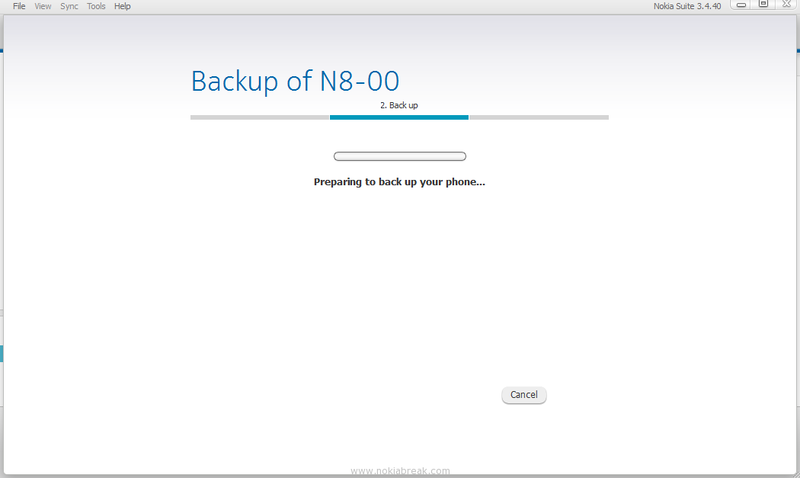 Now, Nokia Suite will prepare to backup your Phone. 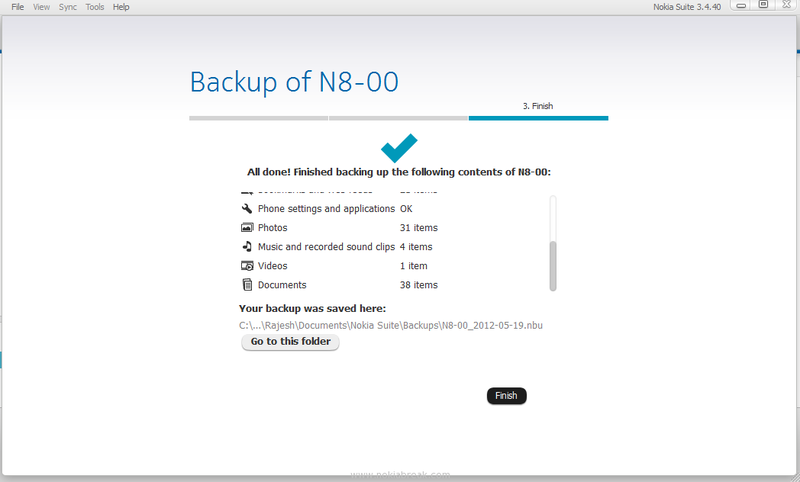 You can see the backup process from the backup Page (Backup hardly takes 10 minutes to completed). 9. 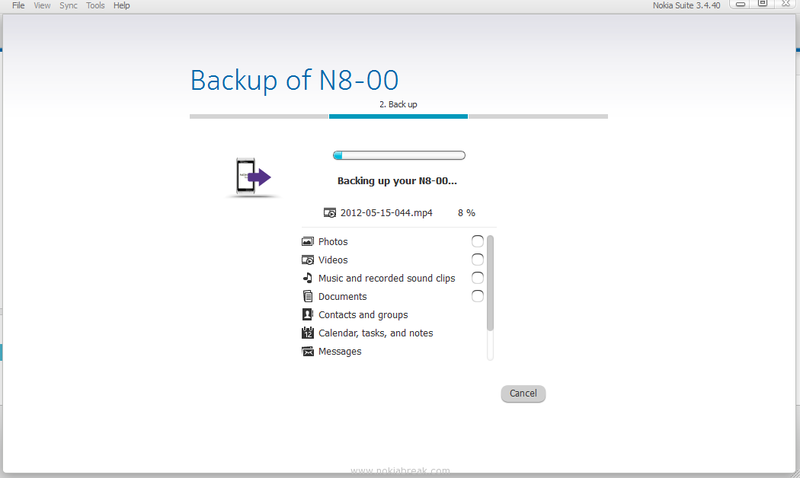 Once Backup is finished click on the Finish button. Note: By default your Backup file will be located under C:UsersusernameDocumentsNokia SuiteBackups. [*] Do not disconnect your Phone during Backup otherwise Backup data will be lost from computer. 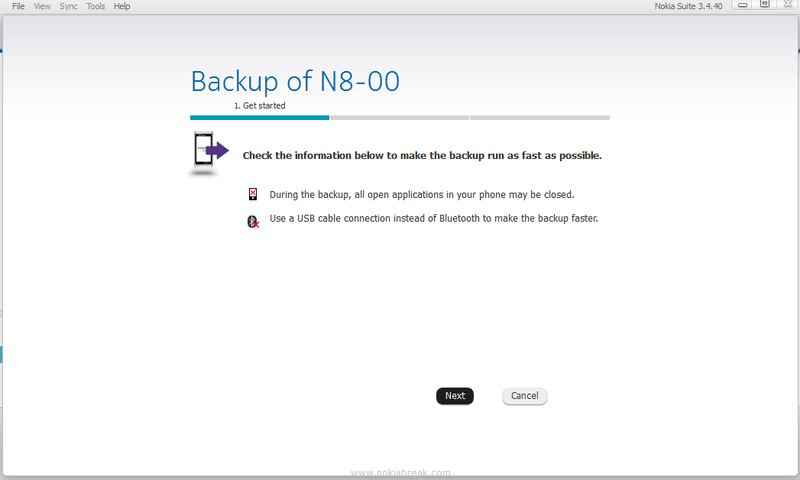 [*] You can take multiple Phone backup on the same computer. 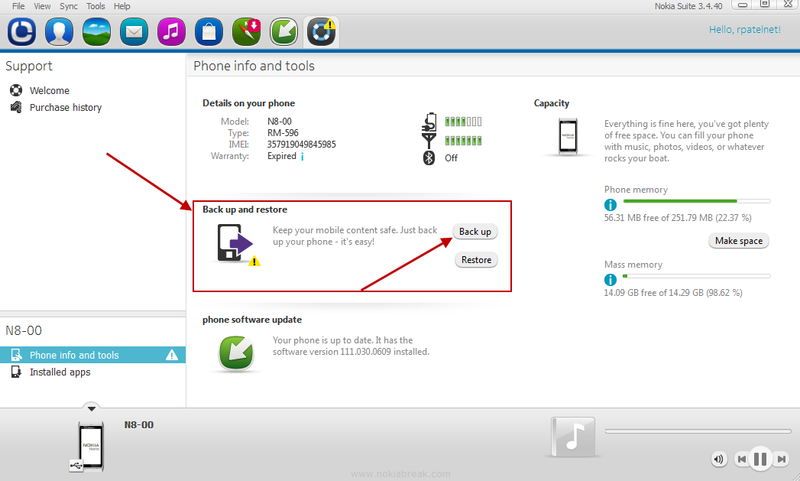 You can also Backup Nokia Phone contacts on your SIM card, If you wants to learn how to Backup contacts from Phone to SIM then See Copy Contacts from Phone to SIM.